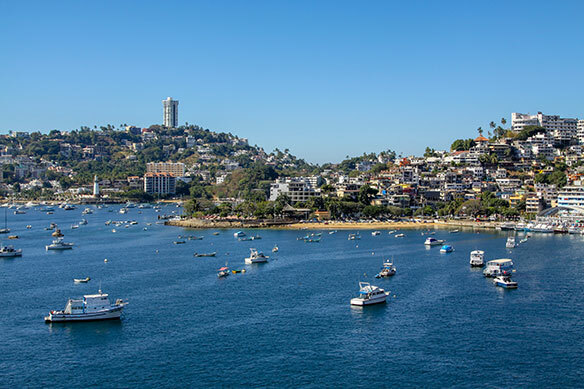 Mexico’s new president told delegates at the opening of the country’s annual tourism show that his administration is supportive of tourism but was cautioned on the importance of tourism promotion during the same Acapulco ceremony. The government of Andres Manuel Lopez Obrador drew criticism earlier this year from those involved in tourism when it closed Mexico Tourism Board offices, turning their duties over to diplomatic missions. Lopez Obrador was warmly applauded during the opening of Tianguis, but a fellow speaker drew applause when he warned that “if you don’t show, you don’t sell,” an apparent reference to the closures. Lopez Obrador was also told that some Mexican attractions run the risk of becoming the “best kept secrets on the planet” without adequate promotion. However, Mexican tourism minister, Miguel Turruco said Mexican tourism is strong, among other things, citing the 22,000 hotel rooms the country is slated to gain. 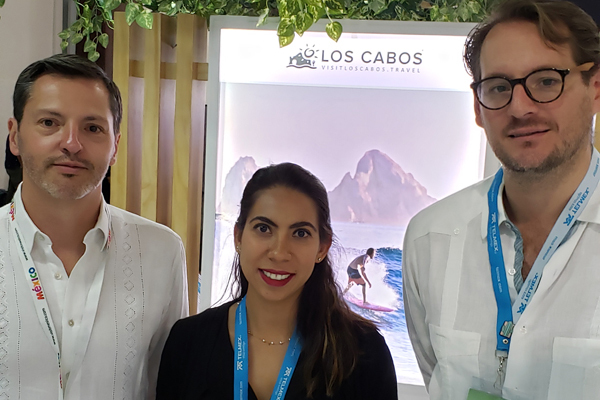 Here’s the group from Los Cabos Tourism, from l to r, are Rodrigo Esponda, Ana Gaby Navarro and Eduardo Regules. 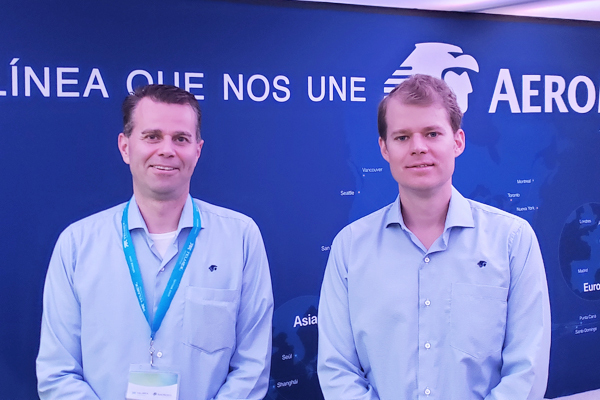 Aeromexico was well represented at the annual show and seen here, from l to r, are Paul Verhagen and Andres Castaneda.